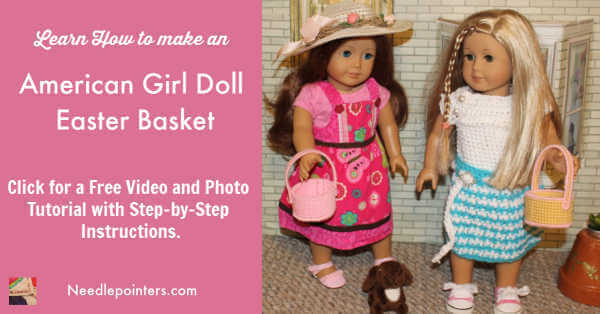 How to make an Easter basket with plastic canvas for an American Girl doll or 18" doll. Watch this video and read on to learn how to make this project. 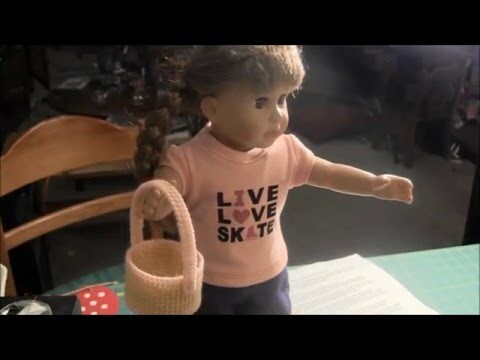 Click to watch the DIY American Girl Doll Easter Basket (or 18" doll) video in Youtube. Bottom: To make the basket bottom, take the 3” round plastic canvas piece and remove 2 threads all the way around. You can leave this unstitched or finish it with thread. With the 50 x 9 piece of plastic canvas, stitch with desired color in the continental stitch leaving 3 threads blank at both short ends. A tutorial on how to stitch the continental stitch is here. Make this piece into a circle by overlapping the unworked threads and stitch together using the continental stitch. With the piece of plastic canvas that is 48 holes x 2 holes, use a straight stitch over the middle threads. Then, use an overcast stitch to cover the two long sides of the handle. For a video on how to do the overcast stitch, click here. Place the round side piece on top of the round bottom piece. 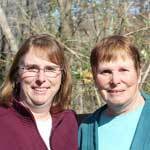 Join them together using the whipstitch. Learn how to do the whipstitch, here. Place the handle on the basket and tack it in place with a few stitches. The doll Easter basket is finished and ready for doll role play. Plastic Canvas #7 Circle 3"